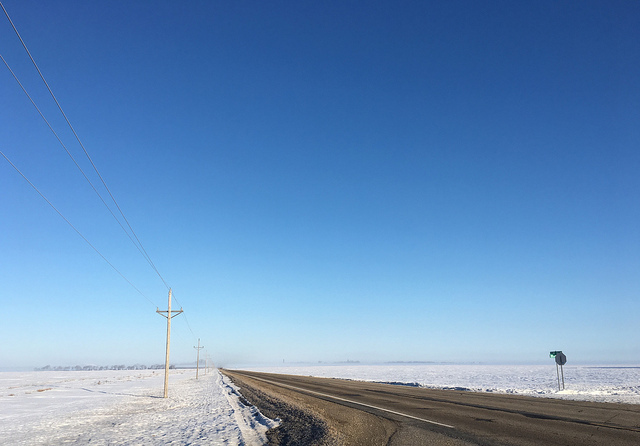 On our final day of the Crookston seminar we were honored to be welcomed onto the farm of Daniel and Ruth Yantze located about 30 miles from Crookston near Fertile, Minnesota. 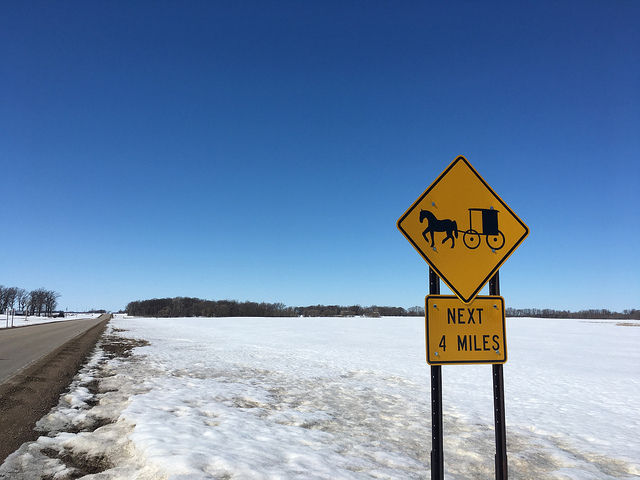 The Yantze family practices the traditions of the Amish faith and they are members of the thriving Amish colony originally established in Polk County in 2007. 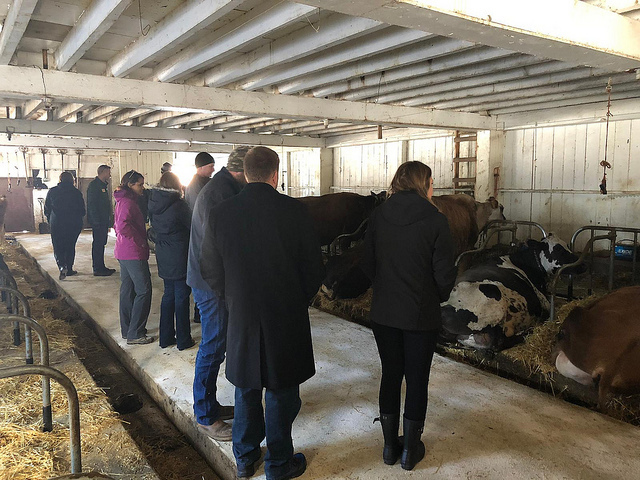 We were given the opportunity to tour the Yantze farm because of the strong relationship that MARL class X member Noreen Thomas has developed with the Yantze family. I have German ancestry so the tour was particularly interesting to me because it opened a window into a similar lifestyle that my family lived many years ago. 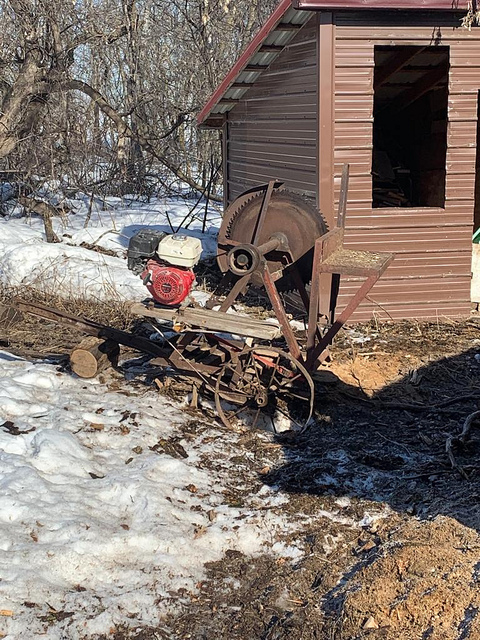 While I don’t have Amish heritage, I could see overlap in many of the farming practices and traditions in my family’s history. Daniel and Ruth are two of the most charismatic and genuine people I have ever met. Not only did they welcome us onto their farm but they invited us into their home they built out of locally sourced logs and wood. 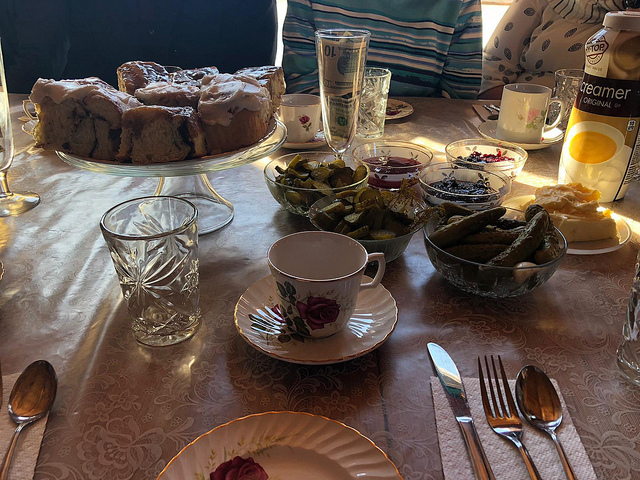 Ruth treated the MARL class to a feast of sticky buns, sweet rolls, jam, fresh yogurt and various types of pickles and bread, all made with ingredients from their garden and cooked using a firewood oven/cook stove. It was absolutely delicious and no one left hungry. The tour of the Yantze farm fit perfectly into this seminar’s theme of building intercultural competency and exploring difference. From the outside the Amish may appear to have a strange way of life, but even when you just scratch the surface you will learn there is a lot of truly valuable life lessons that can be applied to modern living. You will not likely find stronger family bonds and truly meaningful relationships than those within the Amish community. The Yantzes clearly demonstrate that modern conveniences and millions of dollars will not make you happier and they have undoubtedly had a positive impact on Noreen. Thank you Noreen for setting up the tour of the Yantze farm! After the tour, the group met at the nearby Bergeson Nursery where owner/operator Joe Bergeson spoke briefly about his nursery and his business. Joe also provided space for the class to meet and go through seminar wrap up and golden nuggets; where everyone shares their favorite experience from the seminar. In each of the golden nuggets you can hear the life changing impact the MARL experience is having on the participants. Many students talked about new habits they’ve adopted, new relationships and how much their network of ag professionals has expanded because of MARL. Crookston was our fifth seminar and it’s exciting to see the dynamics of the group develop and become more interconnected. We wrapped up at noon and everyone began their journey home which took anywhere from thirty minutes to six and a half hours! The state of Minnesota is enormous!